What Wood Do You Work? Designers and materials go together like fly on honey. In this issue we focus on one of the most beloved: wood. We talk to experts and get detailed information on various wood typologies, such as the disparition of ash wood in England that’s underway due to diseases, and technologies like Kerfing. As sustainability remains a constant discussion, we offer insight on how wood has transformed from a renewable material to an immortal one. Don’t miss our special highlight on working with bamboo. This issue also brings you the latest on spider silk thread by Japanese company Spiber, a material already in the fashion realm and soon to break into the design world. Other goodies to look into: furniture brand Normann Copenhagen’s Milano surprise, our chat with design advisor Brent Dzeckiorius, a special focus on LZF’s amazing communications campaign and more. Enjoy! Treatment and usage of timber changes the way we design. I would like to promote the use of ash. Toyota’s first appearance at Milan Design Week had the company pulling up to 31 via Tortona with an exquisite car made of various shades of wood. Its Setsuna concept car, fully functional but not legally road friendly, had Japanese cedar for the exterior panels, selected for its flexibility and distinctive grain, and Japanese birch for the frame. The seats showed off Japanese zelkova and smooth-textured castor aralia. Not on the road alone, other design professionals working with wood offer insight on the qualities behind various wood typologies and technologies. One typology may have many faces, depending on how it was cut. The bog or swamp creates low oxygen conditions that protect the oak from normal decay and acidic conditions where iron salts and other minerals react with the tannins in the wood, transforming its color to a distinct brown or almost black. Gear pendant lamps by Skrivo for Miniforms. The lamps are made using Valchromat engineered colored wood. Valchromat colors individual wood fibers with organic dyes and bonds them together with a special resin to create its wood fiber panels. The design studio keeps an open mind when selecting typologies, depending on the project at hand. Whether using solid wood, bent plywood or steam bent wood, there are distinct advantages and disadvantages, ranging from function to cost. In 2015, the Netherlands Studio Thomas Vailly completed their Reconfiguration of a Tree project focused on a bio-based material. The studio decided to work with pinus pinaster, a resinous tree harvested for its pitch. “The forest of the region Landes in France was the home of a fine wood and pine pitch-based industry and craft. Pine pitch has been used for centuries to waterproof fabric or boats, for example,” Carla Enchelmaier, project assistant at Studio Thomas Vailly told ArchiExpo. Studio Thomas Vailly ripped apart the Pinus Pinaster tree and rearranged its elements into a man-made material, resulting in a black natural resin used for joining, coating and blending. After developing the new material, Studio Thomas Vailly had four designers apply it to a product: David Derksen, Gardar Eyjolfsson, Lex Pott and an in-house designer from Studio Thomas Vailly. Bamboo is very strong—23% better than oak. Here’s an ensemble of amazing designs and installations we saw during this year’s Milan Design Week. The conceptual design studio Sinestesia created a DIY stereo loudspeaker, Giacinto, from foldable recycled leather. The 4ohm- 5 W speakers produce the ‘Giacinto voice,’ and the leather skin acts as a soundboard, making for a sound of its own. The speaker’s skin comes in several different textures and four colors. The Toadstool furniture collection by Masquespacio studio features a family of poufs, a table and a sofa bench that function as movable artistic centerpieces in any space. They adapt to the individual’s needs, allowing numerous spatial combinations. Available materials include marble, wood and golden-plated metal, plus different fabrics in varying colors. Spanish artist and designer Jaime Hayon showcased The Palette Desk, made exclusively for &Tradition. Inspired by the kinetic sculptures of Alexander Calder, Hayon balanced various shapes and materials at different heights and created a hybrid desk framed in metal. The design studio of Mieke Meijer presented its collection of architecture-inspired lamps made from lightweight wood Space Frames. The designers enclosed the wood with stretched polyester fabric. The series of objects can be repositioned, and they interact with the surrounding space, creating a harmonious balance in space and light. 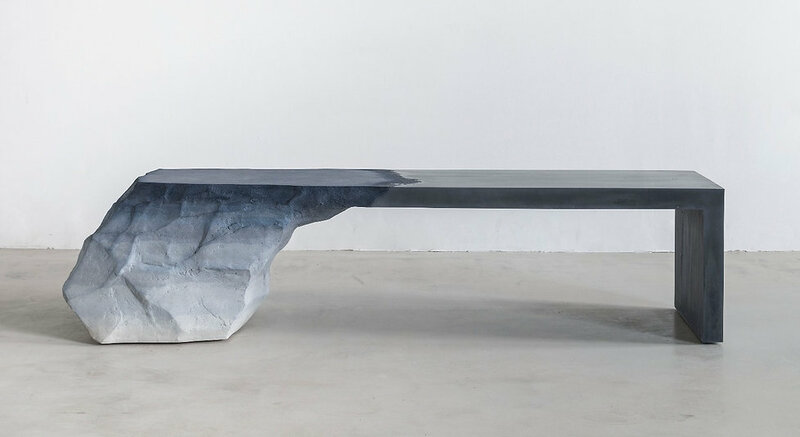 Designer Fernando Mastrangelo unveiled his installation of sand mirrors called Drift, where we found a unique combination of materials. These ‘common’ mirrors stand out with layers of textured sand, providing an intriguingly contradictory style that is rugged and refined, durable and delicate, formal and functional—words that describe the very nature of Mastrangelo’s design philosophy. 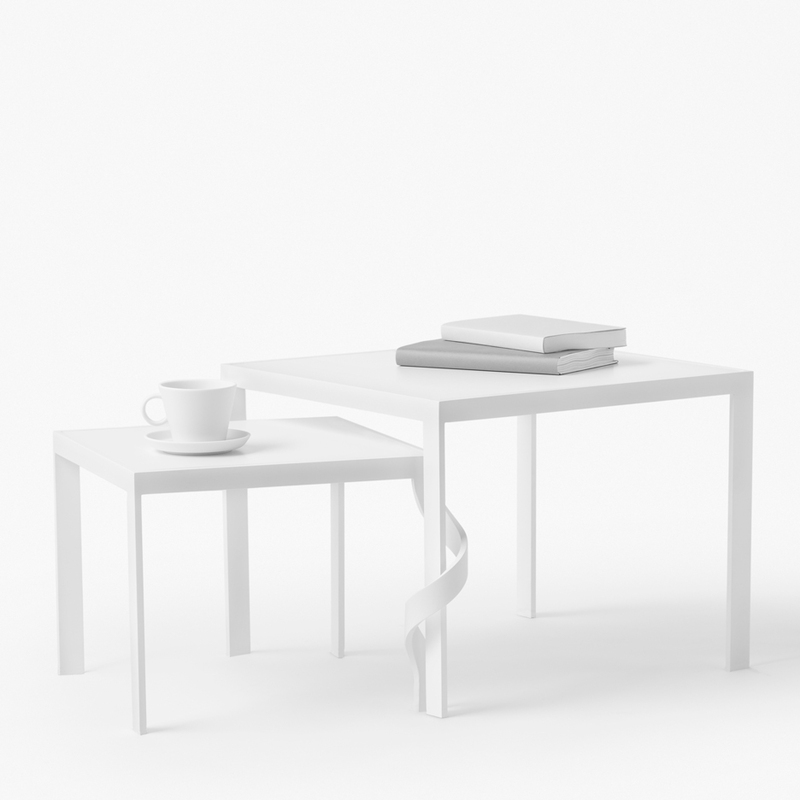 Italian brand Cappellini sent the brief to Japanese studio Nendo: a casual but atypical modular table. Nendo presented its response during Milan Design Week 2016. The Tangle side tables interlock with corkscrew-style legs made from steel. Designer sisters Faye and Erica Toogood at London-based Studio Toogood united their objects, clothes and sculptures within an interior space for the first time during London Design Festival 2015. Their installation The Drawing Room at Somerset House welcomed visitors into a space where the translucent plastic sheets lining the walls were covered in charcoal-sketched furniture. The space held more than a figment of imagination; the sisters completed the redrafting of an English drawing room with a combination of abstracted cardboard sculptures, cardboard origami stray chickens and ducks and their contemporary Roly-Poly pieces from their Assemblage 4 collection, remodeled in fiberglass. In the center of the room: a delightful handwoven rug strung together from limewashed fragments of canvas and rope. Their recent fashion collection hung from a metal rail and personal objects filled a vintage cabinet to encourage a relaxed feel. “It’s a fictional but autobiographical room that is filled with objects, scenes, walks and places that we remember as children,” Faye explained in an interview about the exhibition. The sisters describe their father as an anthropologist, saying they grew up listening to him memorizing distinct bird noises. In the exhibition, recordings of birds singing played throughout the space. Check out the video interview with Faye Toogood on LSN. Telling Tales, a collection of illuminated stories, comes down to an amazing communication campaign idea launched by LZF for 2016. Together with Masquespacio Studio, they’ve created stories and brought them to life through perfectly colored images, each presenting one of their handmade wooden lights. “Mariví Calvo created the campaign based on three ideas that would make this catalogue different from previous ones: The images were to be set at night, providing an opportunity to showcase the lamps when lit; the focus was to shift from spaces themselves to the human beings that inhabit them; and the catalogue was to move away from traditional formats and to be a work of artistic creation,” LZF explains on its website. “Julie never gets back home before six in the morning.” First collection Julie&Nelson featuring the I-CLUB lamp by LZF. Courtesy of LZF. Telling Tales, a collection of hundreds of photographs, six stories and several hours of filming, offers the public a fun way to view LZF’s products. They also have the chance to see the selected images and read the stories through LZF’s social media channels, Magazine No. 3 and in a special, six-volume book edition that will appear periodically throughout 2016. The idea was to recreate the colors of film and photography from the 1950s. They chose writer and novelist Grassa Toro to give a literary sense that would turn this imaginary world into a piece people could connect to. Once Grassa Toro joined in July 2015, the first stories were ready. Second collection Lana&John: Lana is playing the cello under LZF’s Dandelion Lamp. Courtesy of LZF. LZF and its collaborators decided on new locations, furniture, decoration objects and period costumes; they then held auditions to select actors and models in Valencia who would play the characters. The Third collection Ava&Silver will be out this month.